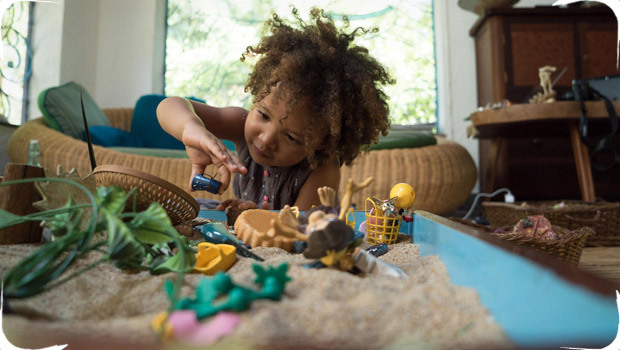 The World Game, also known as Sandplay, is a tool for children to play and create freely. Children are given a box of sand and free access to unusual and appealing objects. Music, flowering gardens, paintings, as well as the presence of the quiet observant facilitator contributes to creating a concentrated atmosphere in which the child can tell his story or express her dreams. Children are invited to be true to themselves in a natural environment.